CISPA is back and now it has fangs. The newest step in the elite&apos;s quest for complete globalization is called the Trans-Pacific Partnership (TPP). It is the newest of the "Free Trade" agreements from the same corporations who gave us GATT, NAFTA, and the WTO. This new TPP deal has been called NAFTA on steroids, and another example of how these trade deals are never just trade deals. Of the 29 chapters only 5 of them have anything to do with trade, with the other 24 being hailed as a Corporate Wish-List that set a dangerous precident with an international tribunal to put an end to internet soverignty. TPP will limit internet freedom by forcing Internet providers to act as copyright enforcers and cut off people&apos;s Internet access. 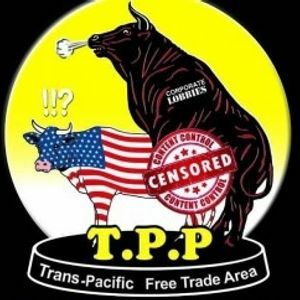 It was all done in secret, until Wikileaks released the TPP draft that has not even been available to any legislator, and the public will never see a draft of the proposal until four years after its passing, when it is far too late to do anything about it.